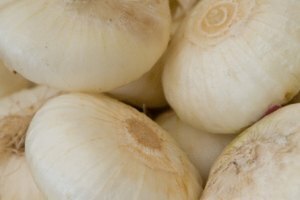 The volcano onion is always a crowd favorite whenever visiting a hibachi-style Japanese restaurant. 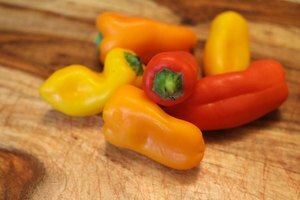 While many guests think the volcano may be the most challenging trick required of the chef, in reality the volcano onion is the easiest trick of them all. However, don't discount the dangers of an open flame in a cooking area. 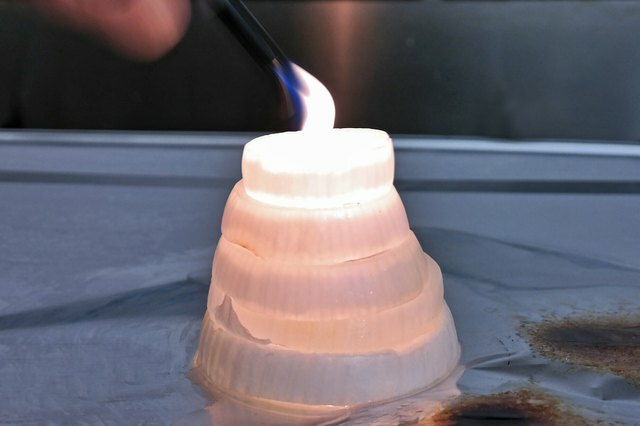 As with any fire trick, the onion volcano is dangerous and should not be attempted at home. 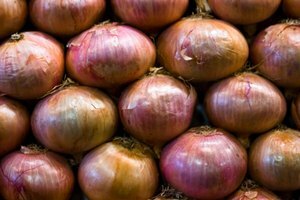 Cut an onion from top to bottom in slices about 1/4-inch thick. 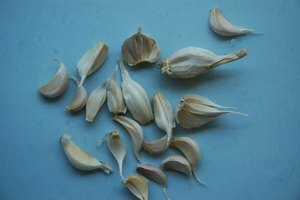 The best slice of onion to use for creating the volcano will be the largest one (found closest to the onion's center). 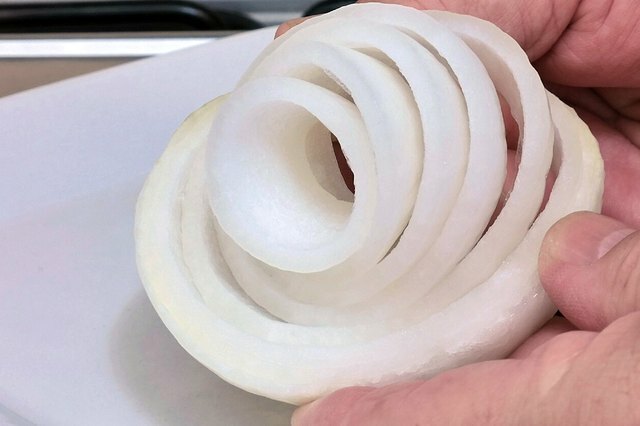 Break up the rings within the onion's slice with your hands. 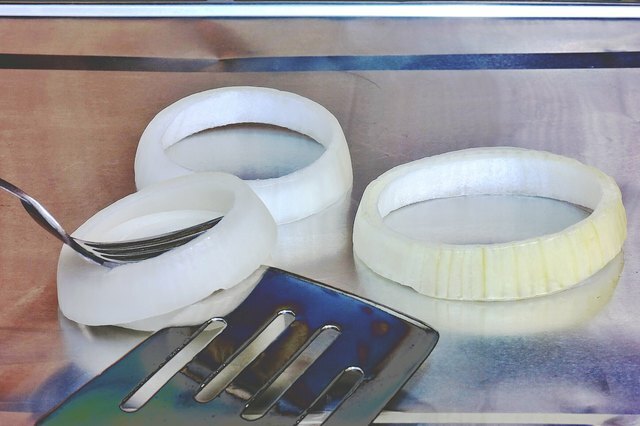 Stack each ring from widest to narrowest with your hands to make sure the onion rings line up to form a volcano. 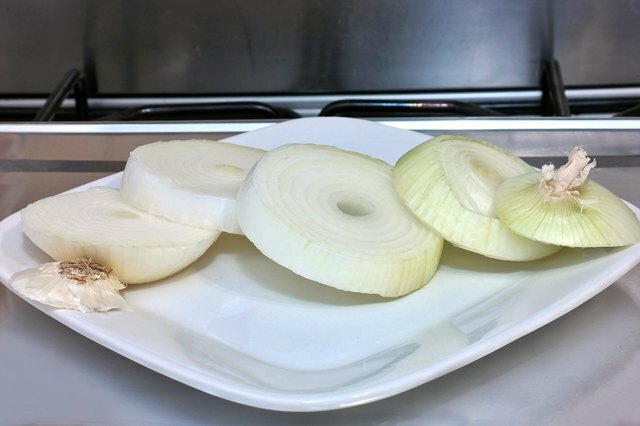 If they don't line up well, use another piece of the onion or cut a new onion. 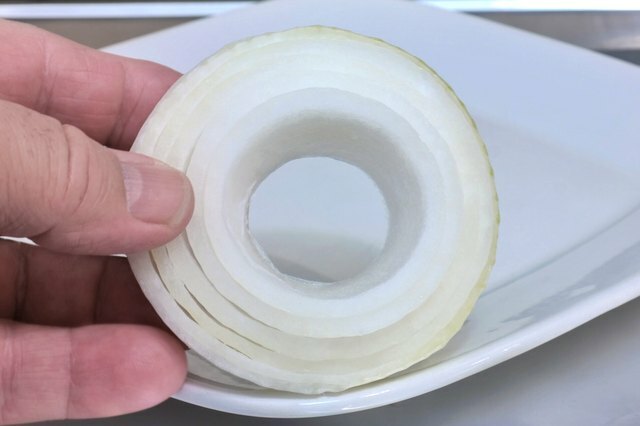 Unstack the onion rings and place them back together as they were before you took apart the onion slice. 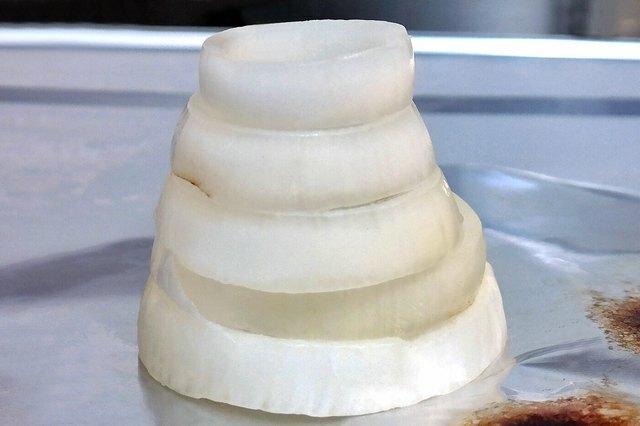 Place the onion down on a hibachi grill surface. 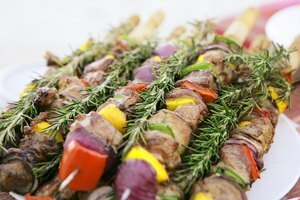 Make sure the grill is on or the volcano won't light. 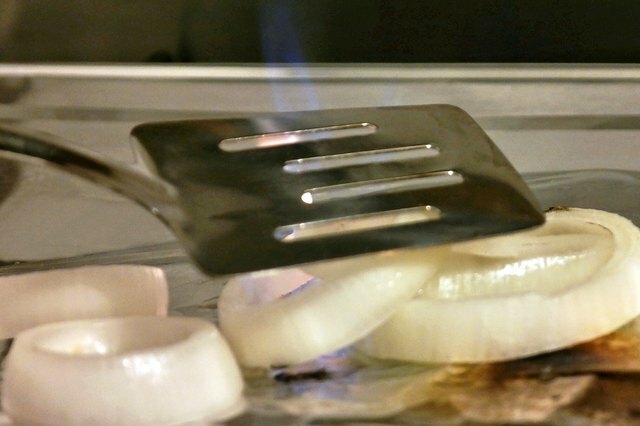 Lift off three to four pieces of the onion slice, starting with the outer ring using a fork and spatula. 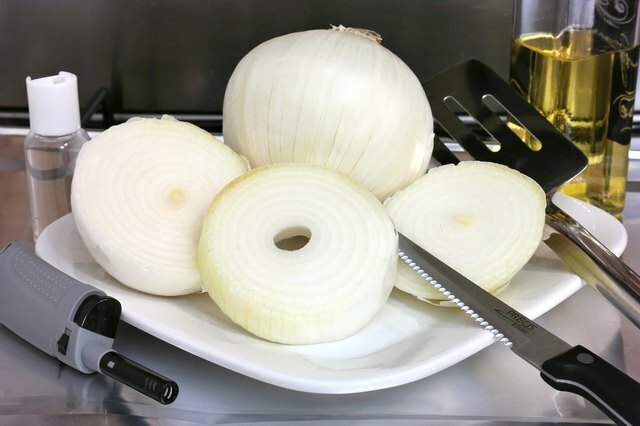 Slide the spatula under the outer ring of the onion slice and use the back of the fork to hold down the rest of the rings as you lift the outer ring off of the rest of the onion slice with your spatula. Stack the rings largest to smallest to form the volcano three to four rings high. 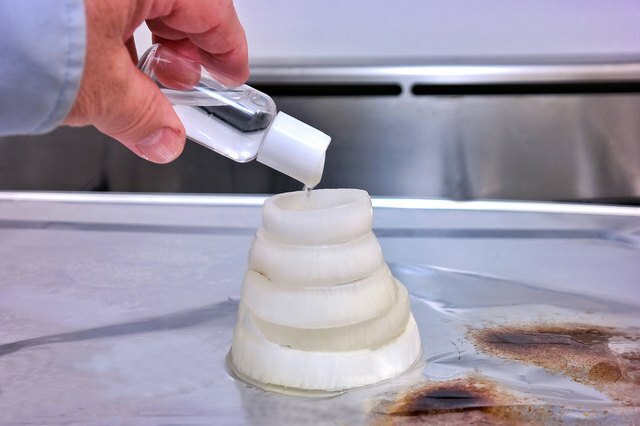 Pour enough vegetable oil to form a thin layer of oil into the bottom of the volcano onion. Squirt 80 proof or higher vodka into the volcano. A very small amount is required because the vodka only lights the volcano. The oil sustains the flame. Use a lighter to light the vodka, which evaporates through the top of the volcano. The vodka will light the oil, which sustains the flame. Extinguish the volcano by waiting for the oil to evaporate or move the volcano off of the heat source with a fork or spatula.